Congratulations to M Group's Wasib Mahmood! Congratulations to The M Group's Wasid Mahmoood! Wasib successfully completed his thesis year and defense, and will be graduating from Virginia Tech's Washington Alexandria Architecture Center with a Masters of Architecture Degree. Wasib's thesis, an incredibly thoughtful study on orphaned youth in Karachi, Pakistan, earned praise from all and received special recognition from the Program Director. The awarding of a crystal from an antique school chandelier is a school tradition since the 1970's and is given to outstanding work. Several M Group employees volunteered to work at this important event which took place Saturday, April 16th. Our team picked up trash at the Snakeden Branch/Hunters Woods Village Center area in Reston, VA. It was a beautiful day to get outside and to give back to the community. Learn more about the Potomac River Watershed Cleanup here. For the 3rd year, The M Group was a proud sponsor of the Greater Reston Arts Center’s Northern Virginia Fine Arts Festival. The festival took place May 21st and May 22nd at the Reston Town Center. Despite the rain, the event was a huge success with over 200 artists participating and attracting over 25,000 patrons. The M Group was given the opportunity to create a temporary piece of art to be located at the family/kid pavilion. This year TMG created several interactive pieces with the help from some famous paintings. The end result was a huge hit with both the young and the old. Having some fun with the pieces are our very own Karen Lewis and Mike Timcheck. We hope you can join in the fun next year as the festival takes place May 20th and May 21st, 2017. For the 2nd year, The M Group was a proud sponsor of the Greater Reston Arts Center’s Northern Virginia Fine Arts Festival. The Festival took place May 16th and 17th at the Reston Town Center. Over 200 artists participated in the show, and each year it attracts over 30,000 patrons. The mission of the Greater Reston Arts Center is to "enrich community life by promoting involvement and excellence in contemporary visual arts". As a sponsor, The M Group was given the opportunity to create a temporary piece of installation art to be located at the family / kid pavilion. Taking this location into consideration, The M Group developed a sculpture made from swim noodles that was colorful, sustainable, memorable, and most importantly, fun! Over 350 swim noodles were used in the making of this piece. It was a huge hit with children of all ages. Upon the Festival’s end, the noodle sculpture came down but the noodles did not go to waste. The M Group donated them to the Aquatics Program at the Reston Association. The M Group looks forward to the next Reston Arts Festival which is scheduled to take place May 21st - May 22nd, 2016. We hope you will join us! The M Group participated in DTZ's (Cassidy Turley) "Flight for a Cure" Kite Flying and Chili Cook-Off Event. Paired with good food and good people, this event helps support the Brain & Behavior Research Foundation. We are looking forward to the next one! 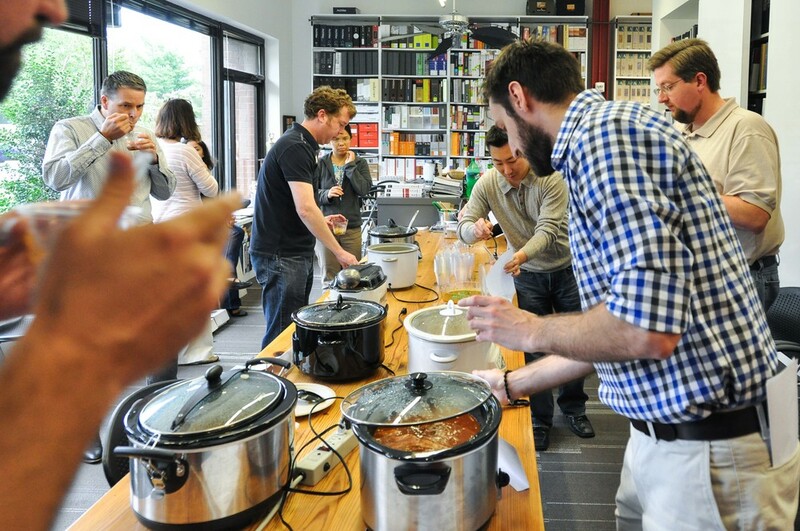 Prior to the event M Groupers perfected their own recipes with an in-house M Group Chili cook-off. 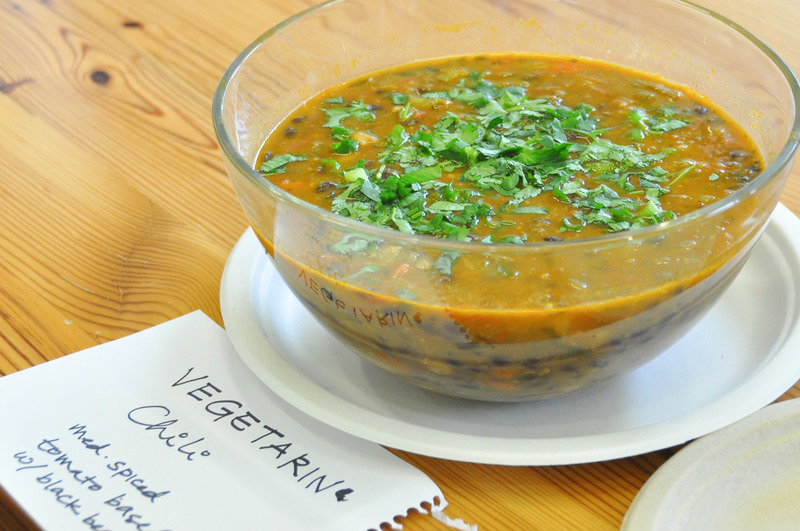 Votes were tallied and Mike Timcheck took home the winning chili con carne recipe.